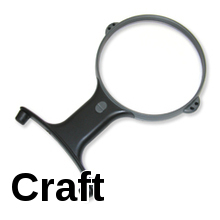 Shop our large selection of dental magnifying glasses with light, dental magnifiers, dentists magnifying visor, dental magnification glasses, dentists magnifying glasses, dentist magnifying glass, magnifying glasses for dentists, dental magnifying glass and magnification glasses for dentists. 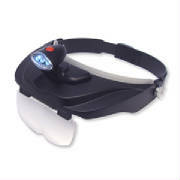 Lighted or Non-lighted Dental Magnifying Glasses. 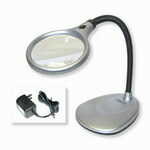 Magnifiers with lights will enhance your viewing of the magnified image. 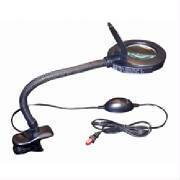 Our lighted magnifying glass, dental magnification glasses with light and dental magnifying lamps are LED or fluorescent lighted for a soft white light. 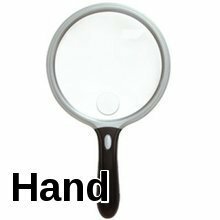 What power dental magnifier do I need? The higher the power of the lens the closer you must get to the object being viewed and the smaller the field of view. A very high power may not be the best selection. 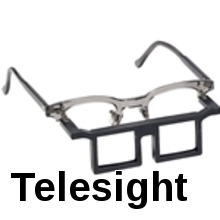 You must consider a comfortable work distance and field of view. 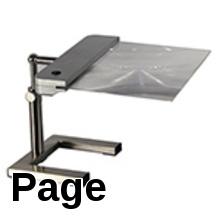 CLICK IMAGE AND ENTER MAGNIFIER STORE. After the age of about forty you will experience a problem viewing small print and tasks involving close detail work. 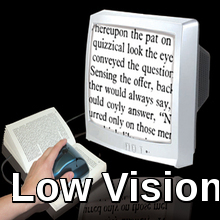 This eye condition is called presbyopia and magnification is the answer. 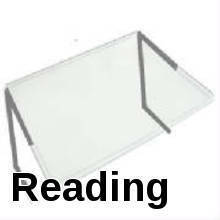 What type magnifier is best? 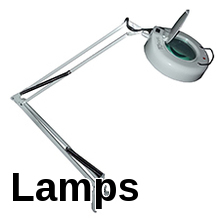 Hand held magnifiers are best for short duration use and a magnifying lamp or hands free embroidery magnifier with stand are best for long duration use.